A news clip of the recently released book, designed by Jenna Carlie, for Alexa Meade. The book, Painted Realities, is a retrospective of Meade’s work from the past decade and is currently only for sale at Meade’s solo exhibition in Beverly Hills, Immersed in Wonderland. The news clip features Meade’s exhibition, showing what it’s like for visitors to interact with the art. 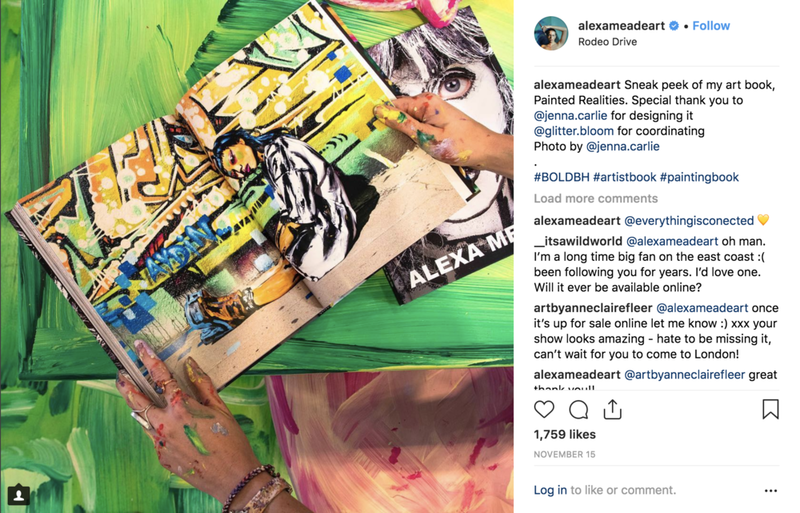 Alexa’s art team worked together in building and painting the exhibition from floor to ceiling, in addition to painting clothing, props, couches, a grand piano, a large rocking horse and a grandfather clock. Jenna’s role in the art team was as the photographer, book designer, graphic designer and social media manager.